Azulfidine is used to treat ulcerative colitis. 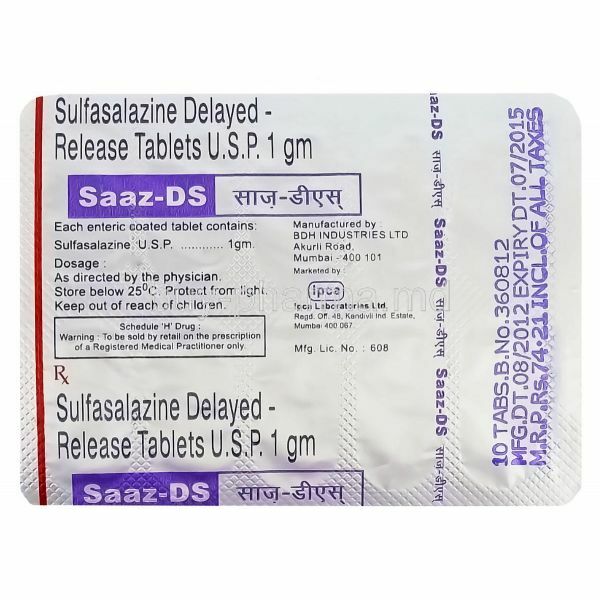 Azulfidine is a brand name for the Generic drug Sulfasalazine. In actuality it is not curative for the condition but helps by reducing the symptoms and its recurrence rate. In delayed release form it is also used to treat Rheumatoid arthritis. 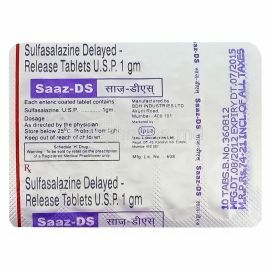 Azulfidine is a salicylate and decreases the inflammation of the tissues. However, its exact mechanism of action to alleviate the symptoms of Ulcerative colitis is not clear. Take it orally after meals with almost 250 ml of water. It is recommended to increase the water intake while using the drug. For ulcerative colitis the dose is 500 mg 8 hourly and may be gradually increased to 1g 8 hourly. Consult your doctor for exact dose. When Azulfidine should not be used? How long should you take Azulfidine?